The book is a fascinating study of how an ideology transformed millions of people's lives in a very short period of time, and Anne Applebaum does a remarkable job of comparing and contrasting each country's gradual disappearance behind the "Iron Curtain." Students of modern history will definitely want to add this one to their libraries. (Reviewed by Kim Kovacs). In this epic but intimate history, Ms. Applebaum offers us windows into the lives of the men and sometimes women who constructed the police states of Eastern Europe. She gives us a glimpse of those who resisted. But she also gives us a harrowing portrait of the rest—the majority of Eastern Europe's population, who, having been caught up in the continent's conflicts time and time again, now found themselves pawns in a global one. Bracing, important…Applebaum is unafraid of complexity; she traffics in exceptions. She names names.…Iron Curtain is essential reading. One of the most compelling but also serious works on Europe’s past to appear in recent memory…In her relentless quest for understanding, Applebaum shines light into forgotten worlds of human hope, suffering and dignity. Iron Curtain is a superb, revisionistic, brilliantly perceptive, often witty, totally gripping history, filled with colorful character sketches of Stalinist monsters, based on Soviet and local archives, on hundreds of interviews with survivors, and on the widest reading, that tells the dramatic, unknown and terrifying story of the Stalinization of eastern Europe. Magisterial…Anne Applebaum is exceptionally well qualified to tell [this story]. Her deep knowledge of the region, breadth of view and eye for human detail makes this as readable as her last book, on the Gulag. Starred Review. Applebaum has written another masterful account of the brutality of Soviet rule. Starred Review. A Pulitzer Prize–winning author returns with the story of those dark decades in Eastern Europe when the Soviet Union slammed the prison doors on people, cultures and countries...A dark but hopeful chronicle that shows how even humanity's worst can fracture and fall. 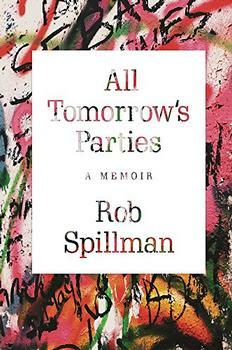 Applebaum not only dug into newly opened archives but conducted interviews, which should give this book a personal feel. Exciting! So much effort is spent trying to understand democratization these days, and so little is spent trying to understand the opposite processes. Anne Applebaum corrects that imbalance, explaining how and why societies succumb to totalitarian rule. Iron Curtain is a deeply researched and eloquent description of events which took place not long ago and in places not far away - events which contain many lessons for the present. Iron Curtain is an exceptionally important book which effectively challenges many of the myths of the origins of the Cold War. It is wise, perceptive, remarkably objective and brilliantly researched. 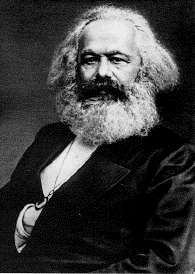 Communism is an economic and philosophical theory that can be summed up by a phrase made popular by the "father of communism," Karl Marx: "From each, according to his ability, to each according to his need." In its ideal form, all property is held in common; there is no private ownership. There are also no class divisions, and equal weight is given to everyone in the society regardless of gender or race. Poverty and wealth are both non-existent since all products and services are distributed equally to all. Decisions are based on what will benefit society as a whole as opposed to what will enrich just one person or group. 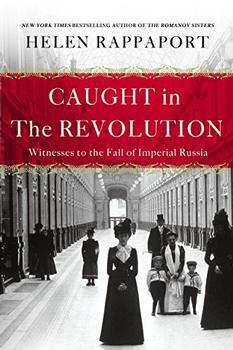 From the bestselling author of The Romanov Sisters, Caught in the Revolution is Helen Rappaport's masterful telling of the outbreak of the Russian Revolution through eye-witness accounts left by foreign nationals who saw the drama unfold.